Question: Do I need to have a physical office for my Romanian company? Answer: Lately, most startups prefer to start their business in an online environment, due to reduced costs and convenience, and also due to the fact that they can remotely access new markets all around the world. Still, in some cases, for instance for VAT purposes registration in Romania, you still need a physical office address. Therefore, Darie, Manea and Associates Law Firm may provide a physical office in Bucharest to make things easier for you. According to the law, an accountant, lawyer or other professional service provider may allow clients to use their address. Can your law firm help me set up a physical office in Bucharest? Because we know the needs of a new investor, our law firm has a vast knowledge and experience in the field and can help you register an address for you company in Romania. Any newly-formed Romanian company, be it a SRL, SA, PFA or any other type, needs a social headquarters that can be located in an apartment or a house owned by one of its managers, a rented space, or hosted by a law firm - like Darie, Manea and Associates. While the first two options are well-known and widely-used, the third is relatively less popular and not everybody is aware this can even be a possibility. Law 51/1995 for organizing and practicing the lawyer’s profession clearly stipulates that a new firm can host its HQ at a law firm, under a contract signed with the law firm that stipulates the conditions and duration of the hosting. This is only available for SRL and SA type companies and is not possible in the case of authorized physical individuals (PFA) - natural persons authorized to conduct commercial activity. Although the hosted company may not conduct economic activities at its HQ hosted by the law firm, it will receive here all its correspondence from authorities (letters from public bodies, ANAF etc), clients or any other type of documents sent to it. What are the criteria needed for registering for VAT in Romania? Since 2015, the VAT Registration in Romania law has changed. The person in cause needs to file an affidavit in order to assess the criteria of being able to perform their activity in the registered office or secondary location. None of the directors/shareholders must have criminal records. If they are not registered in Romania, they must submit an official declaration to prove that they do not have any criminal history. Taking into consideration the entire process of obtaining the VAT number, the process is quite complex, but the first step is registering a physical office in Romania. Our law firm, Darie, Manea and Associates, can provide you exactly what you need in order to be able to register your company for VAT purposes and the main advantage is it costs a lot less than renting an actual office in a building. 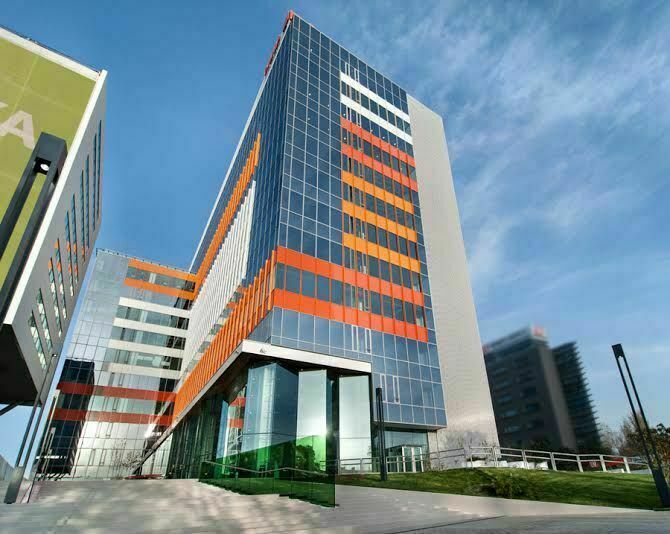 Do not hesitate to contact us for more information about having a physical office in Bucharest.